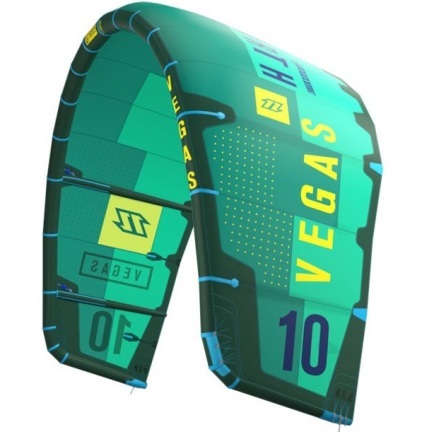 The Vegas is a kite that needs no introduction, for years it has sat at the pinnacle of freestyle riding, powering the world’s best riders to the top of their game. 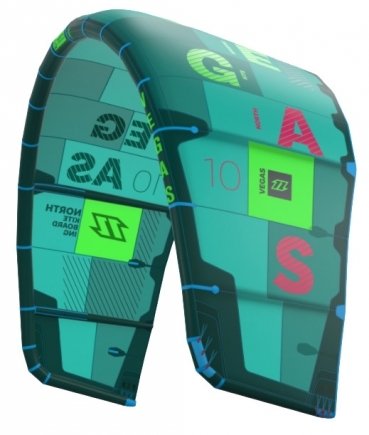 Over the years it has evolved, and it is now much more than just a freestyle kite. Different tuning options allow you to set the kite up for wakestyle and freeride options, as well of course, as freestyle. It has the best pop in the North range, offering extreme height in jumps and powered tricks. The unique feature of the kite is the power delay, after the pop the kite has no power allowing the rider to perform their trick without the kite pulling. Kiteloops on the Vegas are precise and reliable, the kite powers through the loop with plenty of speed. 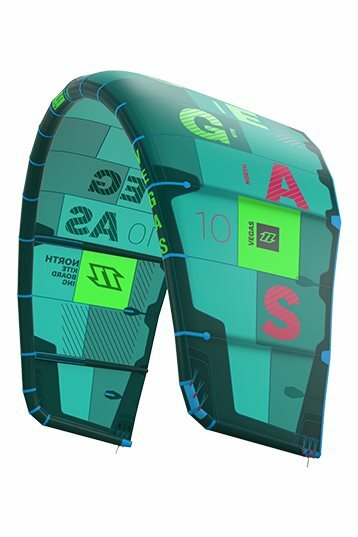 It’s probably the best kite on the market for the rider looking for the freestyle advantage and is used by the entire North Kiteboarding Freestyle Team on the PKRA and in other events around the world. Still, in addition to this, some riders choose the Vegas as their freeride kite, enjoying the lively nature and responsiveness offered. If you want the most uncompromising high performance and dynamic kite on the market, choose the Vegas. For three seasons I've been teaching as an instructor at Kitesurfschool KiteMobile with various NKB kites. I can therefore tell with certainty that the kites they produce are very durable and made out of good material. 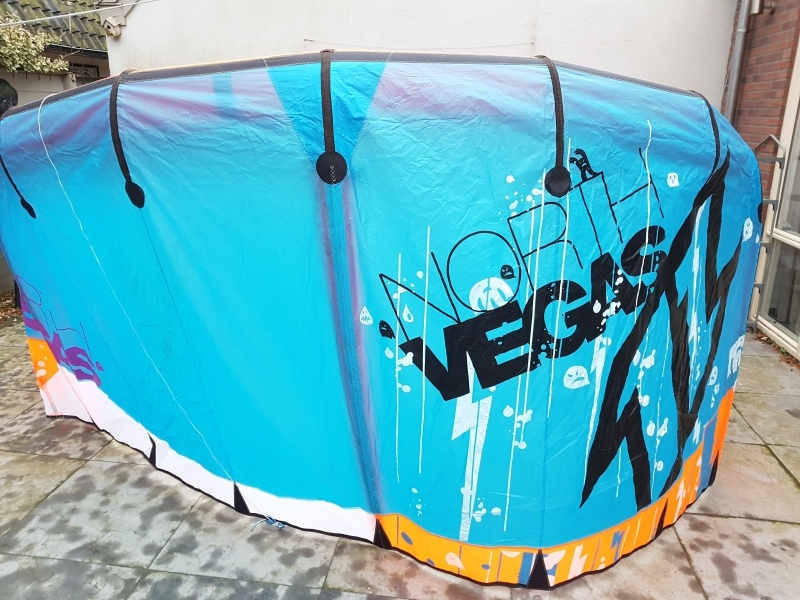 I believe that the Vegas is the perfect kite for riders who are into the freestyle/wakestyle segment of kitesurfing. The kite has a very direct feeling in the bar which makes it perfect for performing advanced unhooked tricks. Furthermore, I would say the Vegas is probably one of the safer kites on the market. 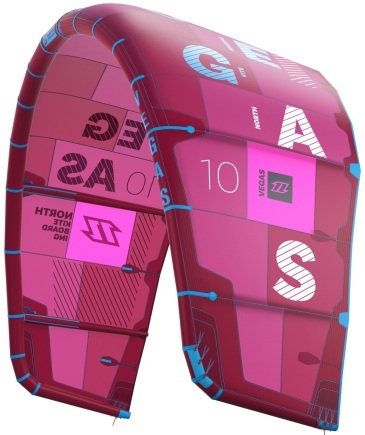 Although it's a C-kite, it has a lot of safety features that a lot of other kites don't have. 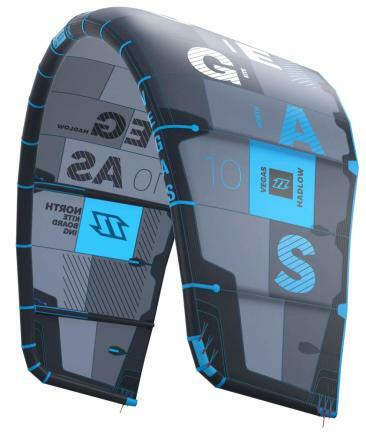 This makes the Vegas not only suitable for the advanced riders, it is just as versatile as a lot of other kites. The only main difference is that you got a lot more bar feedback and you really know where that kite is in the air. For more than 5 years I am riding in the NKB International Team and we constantly try to improve the Vegas. I´ve been riding the 9 meter for a couple of weeks at home and in Brasil and it is made for the unhooked tricks we do: a lot of Pop, Slack (no pressure while the handle pass) and a very direct feeling. Nevertheless I also use the kite for huge boosts and some wave riding if we have the conditions around. Riding the new Vegas 2014 for a few weeks now, used the 10m for a few times on the sea in the Netherlands. 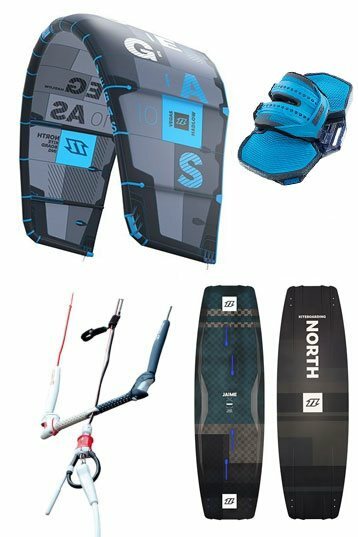 For freestyle and wakestyle the kite is amazing, it is super stable and for unhooking this is the kite to ride! I was riding the 2014 Vegas for 6 weeks in Brazil now. So stoked how the new Kite turned out. It improves my riding and helps me to learn new tricks. Get your hands on the new Vegas, it's worth it! A perfect freestyle kite, not only unhooked but hooked as well. The 7m has a great sweet spot and although it is a small size it still is pretty stable. Very easy relaunch thanks to a fifth line. During a kiteloop you'll get a great boost before it catches you up again. One session during testing there were gusts up to 40 knots, high end for my weight but on the freestyle setting the kite has a good high end. If you are looking for a pure freestyle kite, the Vegas is your best choice!